A memorial concert is being staged in Somerset on Friday night for the founder and lead singer of the Clash, Joe Strummer. The 50-year-old singer and guitarist died at his home in Broomfield, Somerset, on 22 December last year. He is remembered in the area for the work he did for the community by taking part in a fundraising concert for a new media centre in Bridgwater. 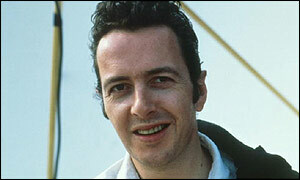 Since his death many music shops in Somerset have sold out of Clash albums. Matt Bartlett, whose band will play at the tribute concert, said: "We're putting on a few local bands and we're interspersing that with music by Joe and of course by Jake Thackeray, who also died recently. "It was a great privilege to play with Joe - it was a really good gig - a benefit for a good cause in Bridgwater for the engine room which is a media centre that's being built there. "That meant that Joe Strummer was well involved in the local scene and put himself out to do something for us in Bridgwater. "I am very pleased to have been able to play with him." The concert takes place at the Unity Club on Dampiet Street Bridgwater. Admission is free.